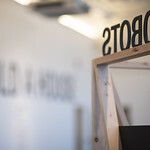 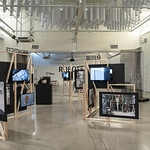 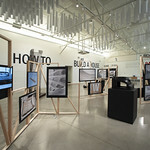 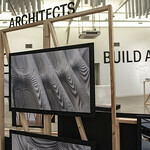 The exhibition is a visual journey through research on the digital transformation of architecture and construction. 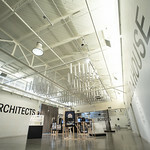 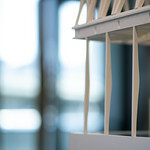 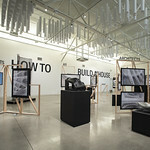 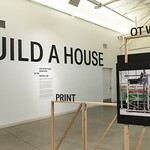 It reveals the conception and making of the DFAB HOUSE: A three-story experimental building demonstrating the pioneering research in computational design and digital fabrication being conducted by architects in collaboration with leading experts in fields ranging from robotics to material science. 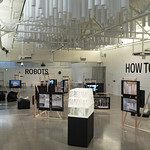 Through the Swiss National Centre of Competence in Research Digital Fabrication (NCCR-DFAB), they jointly created the first fully inhabitable building constructed by robots from the labs of ETH Zurich; a building that moves the boundaries of what robotics and 3D printing in architecture can do today. 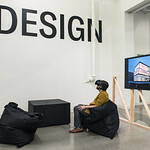 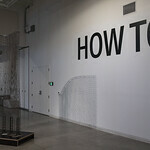 The exhibit is an entry point into understanding the digital as a novel domain for architects to draw from at each step of the design, fabrication, and assembly of a building. 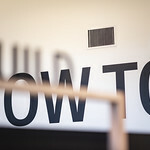 Although driven by technology, its impact goes far beyond automation and optimization. 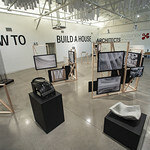 As a new paradigm, the computational in architecture provides answers to changing societal needs and ecological challenges, while reforming aesthetic principles and establishing a new sense of beauty in architecture. 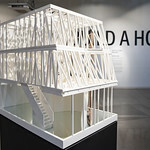 DFAB HOUSE is a collaborative demonstrator of the Swiss National Centre of Competence in Research (NCCR) Digital Fabrication on the NEST building of Empa and Eawag in Dübendorf, Switzerland. 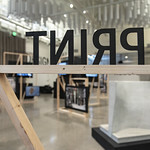 As part of the full-featured building project, researchers from seven ETH Zurich professorships have come together with industry experts and planning professionals to explore and test how digital fabrication can change the way we design and build. 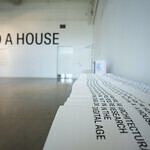 DFAB HOUSE is supported by the Swiss National Science Foundation in collaboration with the funding partners at EMPA. 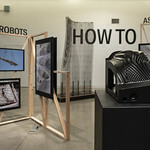 Since its inception in 2005, the research group led by Professor Matthias Kohler and Professor Fabio Gramazio at ETH Zurich has been at the forefront of robotics and digital fabrication in architecture. 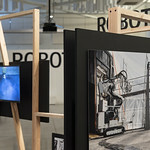 With their robotic laboratories and work that ranges from prototypes to buildings, they have inspired architects and researchers alike to explore the capacities of industrial robots as universal tools of the digital age. 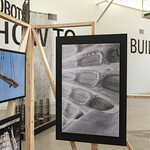 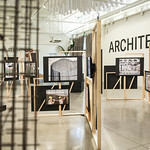 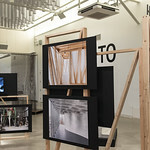 Projects such as Structural Oscillations for the Architecture Biennale in Venice, Flight Assembled Architecture at the FRAC Centre Orléans, Rock Print for the Chicago Biennale and the Sequential Roof for the Arch_Tec_Lab at ETH Zürich have contributed to the group’s recognition as global leaders in in the field of digital and robotic fabrication in architecture. 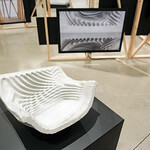 The chair for Digital Building Technologies at ETH Zürich researches in new building technologies based on the seamless integration of computational design methods, digital fabrication and new materials. 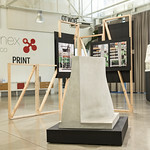 At the forefront of 3D printing technologies, DBT investigates additive manufacturing strategies in architecture, which have the potential to challenge traditional paradigms of construction and open up radically new design-solutions. 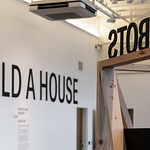 The work of Digital Building Technologies has been presented at the Venice Architecture Biennale and the World Economic Forum in Davos. 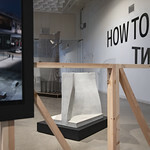 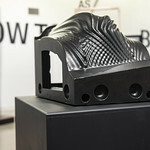 Digital Grotesque at the Centre Pompidou, Paris and the Smart Slab at the DFAB HOUSE highlight the groups pioneering research in digital fabrication. 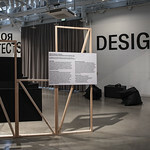 Photo: Roman Kelller, courtesy of ETH Zurich.